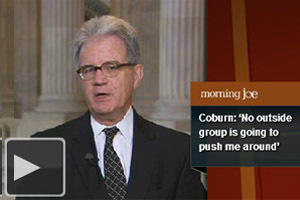 More than 165 tax expenditures worth over $900 billion this year and more than $5 trillion over the next five years are revealed in TAX DECODER, a new report decoding the tax code released today by the nation’s most active retiring honest and honorable senator, Dr. Tom Coburn (R-OK). Twisted tips for private gain by public theft featured in the report include: 1.) Gamblers who lose at the casino or horse track can still win on their tax return by writing off gambling losses, 2.) Hollywood movie makers aren’t just collecting at the box office, they are also downloading tax subsidies from the IRS, 3.) There is no shortage of tax subsidies for the rich and famous, such as credits to renovate vacation homes and purchase luxury cars and deductions for yachts. Nearly every politician on both sides of the aisle claims to want to make the tax code simpler and fairer but few are willing to name even one tax credit that could be eliminated. 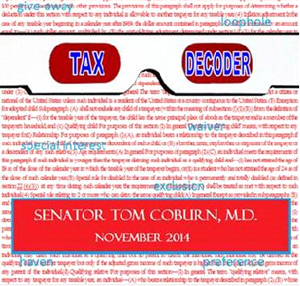 TAX DECODER attempts to provide a detailed and comprehensive overview of the code for all taxpayers and lawmakers, to help provide the building blocks for a complete overhaul of the tax code. Ideally Congress would throw out the entire tax code and start over, but at the very least should make the code simpler, fairer and flatter. This report provides a list of options for Congress to streamline and simplify the tax code to achieve that goal. While many of the tax breaks identified throughout this report should be phased out or eliminated, others could also be reformed to better achieve their intended purpose. While weeding out the tax code may cause some short term uncertainty for those who have become reliant on tax handouts, the U.S. economy and individual taxpayers would greatly benefit from a simpler, fairer code and lower tax rates. • Billions of dollars in tax breaks go to wealthy pro sports team owners, who can count the roster of players as a depreciable asset. • The Tuna Tax Break provides nearly $10 million to certain domestic corporations operating in American Samoa. 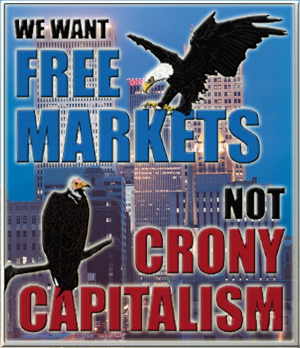 • Tax credits for historic and nonhistoric structures result in lost revenue of $1 billion annually, subsidize beach front resorts, Major League Baseball stadiums, luxury hotels and more. • Ani DiFranco, a Grammy award winning artist, took advantage of $1.5 million in historic preservation tax credits and $3.7 million in New Market Tax Credits to build her Righteous Babe record label headquarters. • For FY 2014, the tax gap will likely be about $500 billion. If this amount were fully paid, virtually the entire deficit currently projected for FY 2014, $483 billion, could be eliminated. This entry was posted in Business, National on December 9, 2014 by admin.